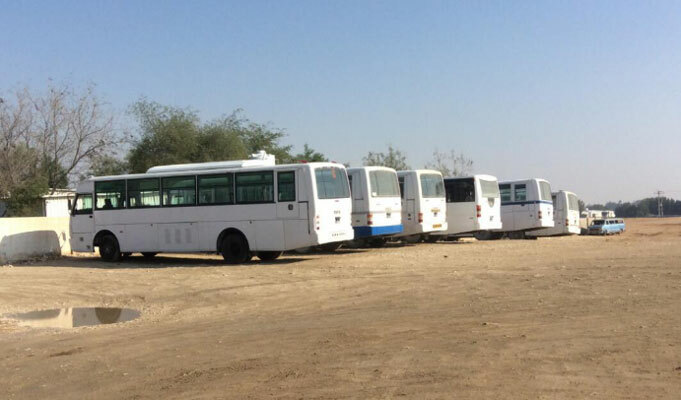 Bus is primarily used for tourism, inter-provincial long-distance transport, short-distance transport between urban and rural areas, and urban public transport (city bus). 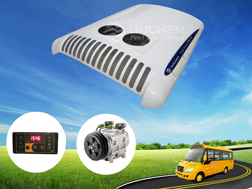 Bus air conditioning system, in other words, application of air conditioning technology in buses, which aims to creates a comfortable temperature inside, protect the health of driver and passengers, and improve work efficiency, simultaneously, increase the driving safety has a positive effect. 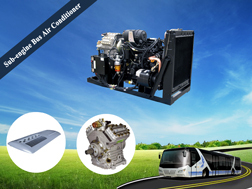 BD Series bus HVAC using multilevel air purification and energy-efficient cooling system, not only make the passenger feel adequate cool air, but also save the fuel cost. 1. 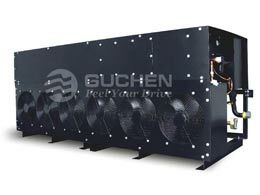 Guchen BD series rooftop ac unit for bus condenser coil employs internal screw thread copper tube and hydrophilic aluminum fins, increase the contact area of the refrigerant and brass tube, hydrophilic Al-fins will be eliminate the water bridge phenomenon, dramatically improve the bus A/C heat transfer efficiency and have the best cooling effect. 2. 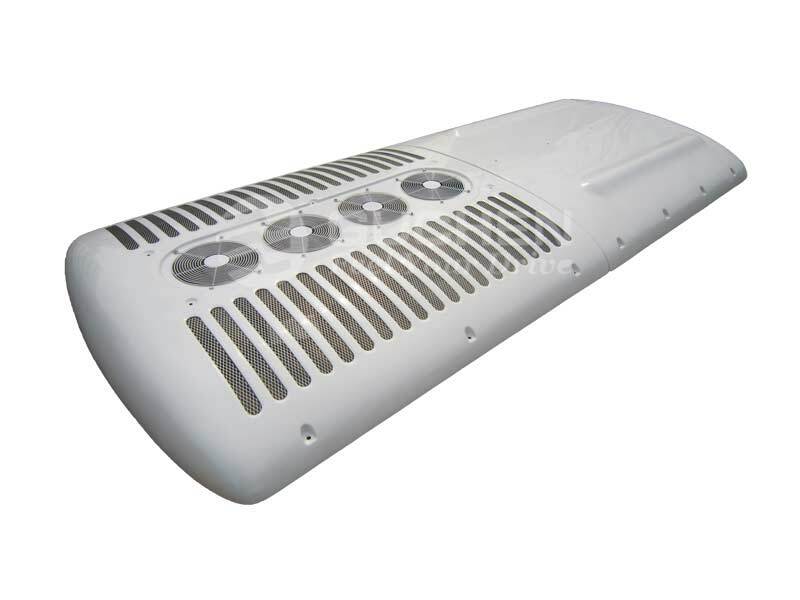 Evaporator is hydrophilic aluminum foil with internal ridge copper tube, high strength fiberglass, and heat and vibration insulation. 4. 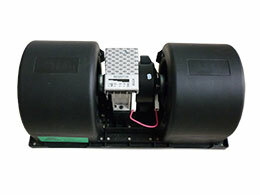 Manual and automatic control mode, simple operation and easily using. 5. 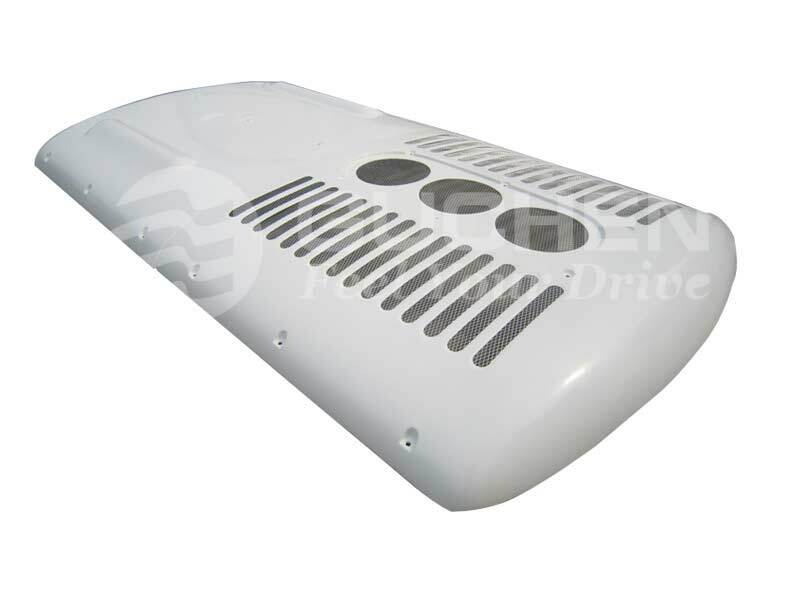 Fiberglass shell structure with good heating insulation and anti-aging properties. 6. 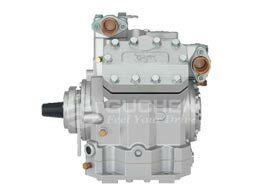 Guchen independent parallel control mode to ensure reliability and durability. 7. 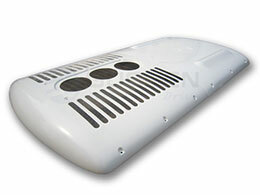 Diversity of configurations to meet different needs and superiority in cost-effectiveness. 8. Expansion valve is high sensitivity, good mobility. 9. 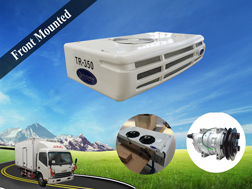 With silver the anti-acid and alkali salt corrosion, dustproof and waterproof connector. 10. 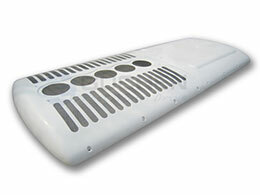 Air return grille is beautiful and easy to clean. 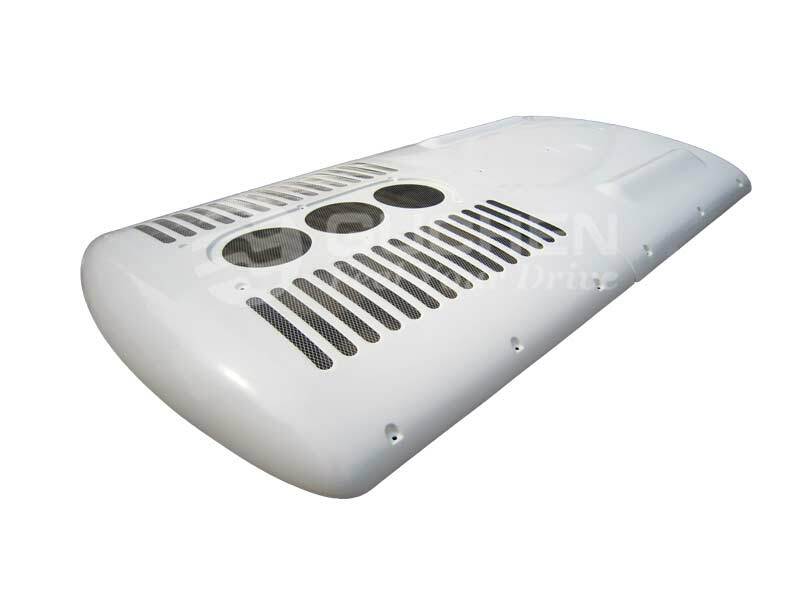 BD Series intercity bus air conditioning with the currently more popular outside overhead roof top mounted design, its condenser and evaporator design for integrated streamline assembly which mounted on the rooftop of the buses outside, and the compressor was install on the compressor bracket, generally next to the engine ( due to the large and medium-sized bus chassis is generally used in rear-engine type ), and the compressor was driven by vehicle engine vie electromagnetic clutch, and achieve the purpose of controlling the passenger compartment’ temperature of the buses. 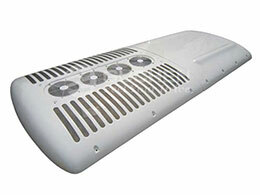 Its advantages are simple structure, easy installation and layout, low noise. 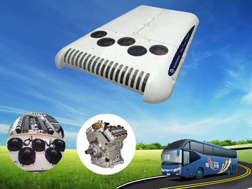 Here is a video about Guchen BD-06 bus air conditioner for the old TATA 12 meter buses, and equip with DD series independent bus ac units to TATA old buses in Middle East Market! 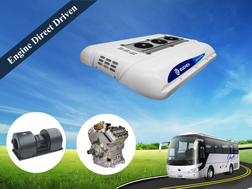 So why they choose to add DD series independent bus air conditioner equip with BD series? 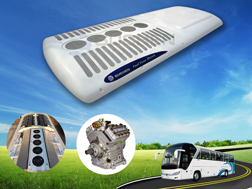 That is because BD series bus air conditioning system may consume 10% to 15% of the main engine power, this will directly affect acceleration and gradeability of the buses, while the air conditioner cooling capacity can be influenced by the vehicle speed, so if the bus stops running, and the air conditioning system is also stopped. 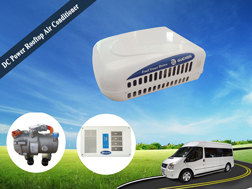 So when add independent bus air conditioner system, the air conditioner will not be affected by bus engine, which can continue to make the ac unit working!